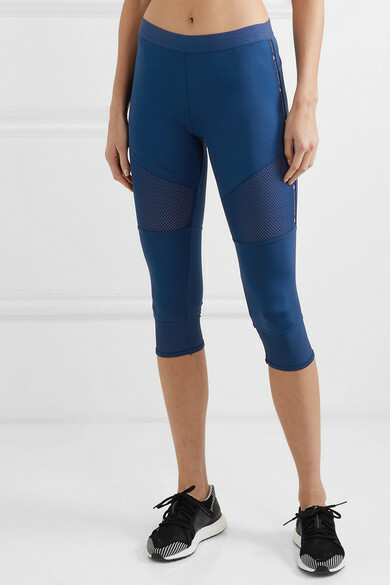 adidas by Stella McCartney's blue leggings are made from the label's Climalite® fabric – which not only wicks moisture, but is also blended with recycled polyester engineered from plastic that has been intercepted from beaches before it reaches the ocean. They’re cut for a close compression fit to support your legs and spliced with ventilating mesh panels to keep you cool. Wear them with the matching top. 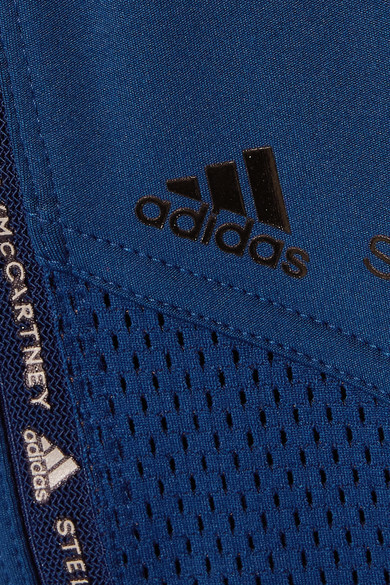 Shown here with: adidas by Stella McCartney Sneakers.